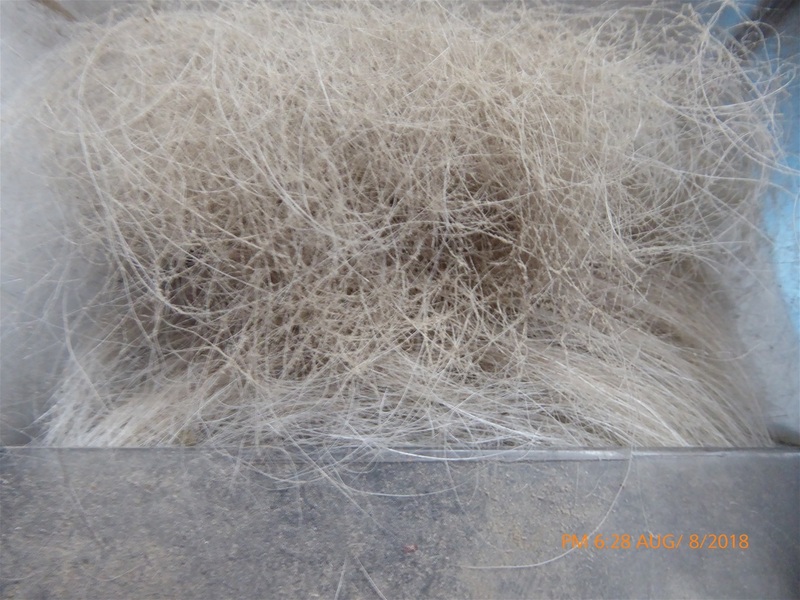 Human hair can be composted it has a high nitrogen content making it a good “Green”, it also contains hydrogen, oxygen, carbon and sulphur according to Rodale this is the same as Bone meal. Hair decomposes slowly and can form a mat easily in the bin. Hair from pets and other animals can also be composted. Dog hair can be obtained both from home grooming and may make up a considerable proportion of the waste in the vacuum cleaner (I have two Clumber spaniels who shed throughout the year) providing a constant supply of vacuumed hair. Hair can form lumps (mat) when being composted unless added to the bin in a small quantity to form a thin layer or mixed with other Greens either before or as it is added to the bin. The bin should be aerated every two or three days for the first week or to speed the composting process the more hair being added at any time the more important it is to mix it well to prevent compaction which might reduce air circulation and create anaerobic conditions. Be care not to overload the bin with hair. It should only form a small proportion of the Green material being composted. Rodale describes a technique for composting hair developed by William Stafford which will deal with larger quantities. The Stafford recipe uses 10 pounds Hair cut ¾ long, 20 pounds of cottonseed meal and 11/2yards of leafmold. This is mixed and watered and composted for 30-60 days being turned regularly until rotted. It was then used as a mulch round rose bushes. Hair can also be used as a feedstock in a wormery dog, human and cat hair is regularly used by home composters. Hair mixed with cattle manure has been used very successfully as a feedstock in the wormery creating compost within a couple of months.